Free entries, mega-events, huge discounts, steep upgrades and special VIP service – our partners offer you excellent quality at sensationally fair prices. We, at Casual Card Group, bring among people. For modern people today is all about trends, fashion and entertainment. 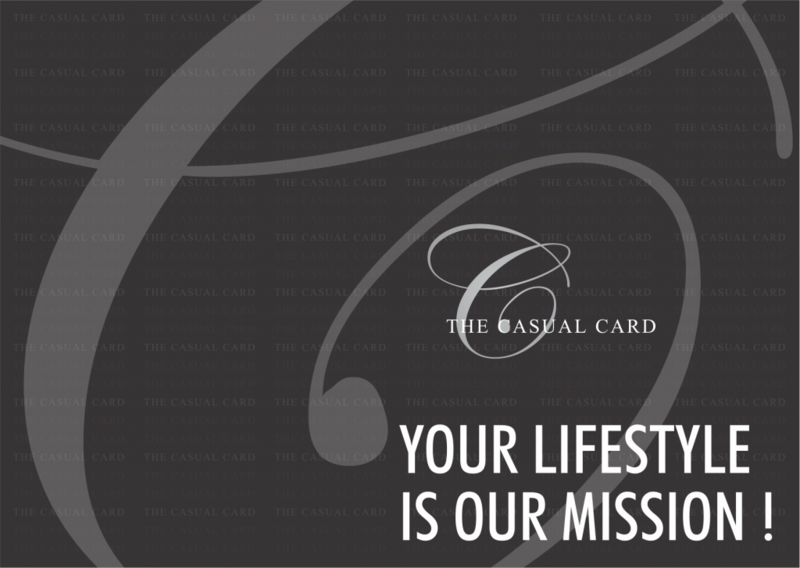 We, the Casual Card Group, bring a breath of fresh air to a wide range of companies. Our partners become an integral part of the cult, active life. You are fascinating with us. They inspire. You win new customers. They shape your image. Because: Our partners and members are fully in the trend, exclusive and simply hip. WHO IS THE CASUAL CARD? Lifestyle, glamour and leisure fun are by no means reserved for the well-heeled. Everyone can live their dream with the CASUAL CARD. Because: Exit, holidays, fashion and shopping bring a fresh breeze into everyday life. The CASUAL CARD makes it possible: Individual lifestyle at a fair price, with attractive price advantages or even completely FREE! We offer our members a diverse range of services in order to be constantly up to date. To keep it that way in the future, we are expanding our network from day to day. We are looking for partners who fit perfectly with our CASUAL CARD users. Partners who enrich everyday life. Lifestyle is becoming increasingly important to many in our society. The freedom to give your life new impulses, to style and enjoy your life, who does not want that? The casual card is a service company. We connect casual card members with various companies from various industries. Whether small or large companies do not matter. Lifestyle is a broad concept and means something different for each individual. Our goal is to connect the interests of both parties and create a WIN WIN situation. Our members want: quality, price advantages, good service or even a special status. If we bring together both interests ideally, we have achieved our goal, we are committed to it every day, we stand by and the promise we give!